A badge- or micro credential, as it is sometimes called-is a digital certification which is awarded to indicate an individual’s competence or mastery in a particular skill set. It is an online record of achievements that displays records of both the credential issuer, as well as the work that was actually completed to get them. As a progress tracking and signaling system, micro-credentials are gaining traction in education since they offer a promising approach to personalized, competency-based learning. More schools are beginning to see the bright side in assessing students based on achievements in specific tasks instead of the traditional grades awarded generally. But where did the concept of badging come from? The badging system has its historical foundations in various symbols dating as far as humans have existed. This can be seen from many of the paintings and carvings discovered in the caves of early men. The hieroglyphics of Egypt are also examples of how symbols have been used to express certain accomplishments, events, milestones, etc in times past. This would later metamorphose into physical badges, a concept that is used by many groups across the world. Military forces of various countries communicate rank and position by awarding badges to deserving officers. The boys’ scout and girls’ scouts also use merit badges in pretty much the same way. The idea of micro-credentials grew out of the “digital badging” movement led primarily by the Mozilla and MacArthur foundations. But the badging system has come a long way from its humble beginnings. Thanks to technology, the use of badges have become digital and now cover a wider spectrum. Today, digital badges are also called micro credentials, but, even in their digital form, they have gone through series of metamorphosis. Badges, as they are today, can be said to have been inspired by game trends. They started out as a major component of most games, awarded to players on completion of certain tasks or levels. A vivid depiction of this is when Microsoft, in 2005, introduced the Xbox 360 Gamerscore system. It was widely accepted as the original implementation of an achievement system. Since then, other organizations have continued to appreciate the importance and benefits of the badging system. For instance, Foursquare and Huffington post use badges to reward users for accomplishing certain tasks. Educators, community groups, corporations, and other professional organisations have started implementing the badging system. Badges are fast evolving into the go-to assessment technique, seeing that they provide an easier, reliable and more efficient way of rewarding participants for mastered skills and milestones. One sector that has had a lot of discussions concerning the badging system is the education sector. From the k-12 to higher educational institutions, stakeholders are becoming increasingly aware of the dangers of squeezing a particular student into the grades box of A or B or C. More stakeholders are recognizing the benefits of implementing the badging system where a student is recognized for each skill, ability, and interest. This is a reflection of the position adopted by a large number of education experts. The cumulative strength of these and similar positions helped to promote the awareness and acceptance of badging. One of the events that revolutionized badging was championed by Basno, a digital badge service provider. In 2010, they launched a platform which made it possible for users to create and collect badges for a wide range of individual accomplishments. The response to this was so phenomenal that it marked a departure from the existing perception of badges as mere game features. It shed light on the learning benefits of creating and collecting badges and before long, many instructional sites incorporated it into their learning programs. By September of 2011, Arne Duncan, who was Secretary of Education at the time, announced the launch of the HASTAC/MacArthur foundation badges for lifelong learning competition. According to him, badging had immense potential for learning as it “can help engage students in learning and broaden the avenues for all learners or all ages, to acquire and to demonstrate as well as document and display their skills. Badges can help speed the shift from credentials that simply measure seat time to ones that more accurately measure competency, and we must do everything we can to accelerate that transition. 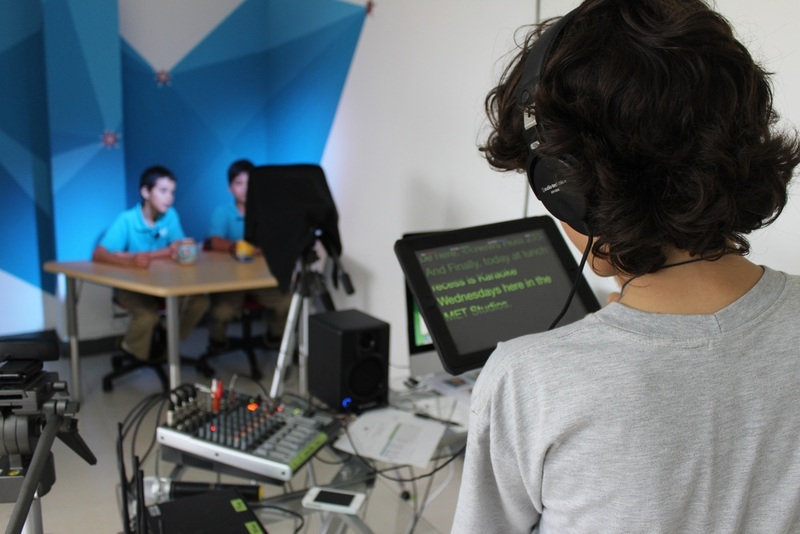 It can also help to account for both formal and informal learning and in a variety of different settings.” The initiative received funding from the MacArthur foundation and the Gates foundation, and was administered by HASTAC. In March of 2012, it awarded funds to thirty organisations. The Mozilla foundation became a key player in the promotion of badging when, in 2011, they published a report highlighting the strong points of the system and advocating for an open badge system framework. In the same year, that framework was created in conjunction with the MacArthur foundation. The result is what is known today as the Open Badges project (openbadges.org). The initiative was focused on promoting “informal learning, breaking down education monopolies and fuelling individual motivation”, a departure from the traditional grades system practiced in schools. By 2012, acceptance had increased yet again, with the Mozilla foundation partnering with the City of Chicago to launch the Chicago Summer Of Learning (CSOL), an initiative aimed at engaging young people during the summer break. That initiative would later go from being state-wide to becoming nationwide. By 2013, over 1,450 organizations were issuing open badges, with locations beyond the United States such as, Australia, United Kingdom, China, and Italy. In 2014, a network of organizations and individuals, brought together by Mozilla, was called the Badge Alliance. Their goal was to build the open badging ecosystem and advance the open badges specification. This network included over 650 organizations from six continents. Fast forward to 2015 and the badge alliance had expanded to become a part of collective shift, a non-profit devoted to redesigning social systems for a connected world. In the same year, IMS global learning consortium announced plans to adopt open badges as an interoperable standard for credentials. In other words, it would create validity for each badge across multiple platforms. This would in turn encourage widespread adoption of badges in education specifically. On the 1st of January, 2017, open badges transitioned officially to the IMS global learning consortium. The badging movement continues to gather momentum, generating steady conversation among various professional groups. Today, hundreds of educational institutions, programs and organizations (such as Digital Promise) have started to issue open badges, representing the breadth and variety of the ecosystem. WORKING on their Robotics 1 badge. In order to have this world-changing impact, students also need to be creators and communicators. In a world where people feel a sense of accomplishment from “liking” or retweeting a positive message, we need young people who will take innovative action to create their own powerful messages. Instead of simply being consumers and receivers of the messages, videos, and stories that already exist, students should have the ability to bring their own meaningful ideas to life. To make sure their voices are heard, they need to learn how to speak so the world will listen. This means creating high-quality technology products with substantial messages. It means researching, performing, editing, illustrating, speaking, and designing based on sound principles, but with the doors of creativity wide open. It also means completing work that will be heard and seen by real audiences, from their classmates and school to wider online audiences. One of the main goals of my badge program is to create empowered learners. I want to see students in the driver’s seat of their education, making choices and taking ownership of what they learn. But this empowerment shouldn’t stop at the classroom door. Students’ education should empower them to make changes in the real world. As I designed my badge program, I intentionally built in opportunities for students to use technology as a tool to change the world. The artifacts and culminating projects can—and I would argue, should—be designed to make a real impact on a local or global level. Some examples might include fundraising, raising awareness for a cause, event planning, or other charitable activities. This empowerment can be life-changing for students, both as learners and as citizens of the world. CHICAGO, June 28, 2016 /PRNewswire/ -- Today, the Flipped Learning Global Initiative, a worldwide coalition of educators, researchers, technologists, professional development providers and education leaders announced the launch of the Flipped Learning Research Lab. The Flipped Learning Research Lab is the first effort to curate, aggregate, review and distribute the evolving research and best practices from across the worldwide flipped learning community. The effort will be led by a distinguished, global cohort of professors and research experts currently working on the leading edge of flipped learning. All successful implementation of flipped learning begins with good pedagogy, but the pedagogy of effective flipped learning is evolving rapidly. Around the globe, researchers and practitioners are adding to the knowledge base of flipped learning best practices based on experience, research, and new technologies. The Flipped Learning Research Lab and the Flipped Learning Fellows will work to give education leaders and flipped learning practitioners access to the most current research and next practices in flipped learning from around the world. "I have been deeply involved in flipped learning and have come to realize both the interest and practitioners of flipped learning are global in scope. The Flipped Learning Global Initiative will provide the necessary conduit to truly take the effects of flipped learning to a global scale," said Dr. Caroline Fell Kurban, Director Center for Excellence in Learning and Teaching (CELT) MEF University, Istanbul. Maurizio Maglioni, President of FLIPNET, the Italian Association for the Sponsorship of Flipped Learning. "I'm excited to be a part of the Flipped Learning Global Initiative as a Flipped Research Fellow. Flipped learning is an idea whose time has come," said Robert Talbert, Associate Professor of Mathematics, Grand Valley State University. The Flipped Learning Global Initiative, (FLGI), was created to support the rapidly expanding adoption of flipped learning all over the world in countries such as China, Taiwan, Spain, Dubai, the United Kingdom, Turkey, Italy, Korea, Argentina, Iceland, Sweden, India and the United States. FLGI aims to fill the rapidly growing global need for collaboration across borders in three domains: evolving best practices in flipped learning, research curation and distribution, and technology selection and implementation. FLGI launched with 30 mission partners, including MT Groupo in Spain; TES Global in the United Kingdom; IWBNet in Australia and New Zealand; iSchool in China and Taiwan, Udemy, BAM Education Radio Network in the United States; and a cadre of flipped learning research experts. For more information contact: Errol St.Clair Smith at 949-677-7381, Email or go to www.flglobal.org. The teacher was proud that his students were using technology in his classroom but is this really the best we can do? This is why I changed my whole approach to teaching and came up with a badge program that not only motivated my students to learn, but it also forced them to think and to create projects using just their iPads. I remember after the first iPad project I heard a student talking to his partner saying that he had no idea that his iPad could make animations. 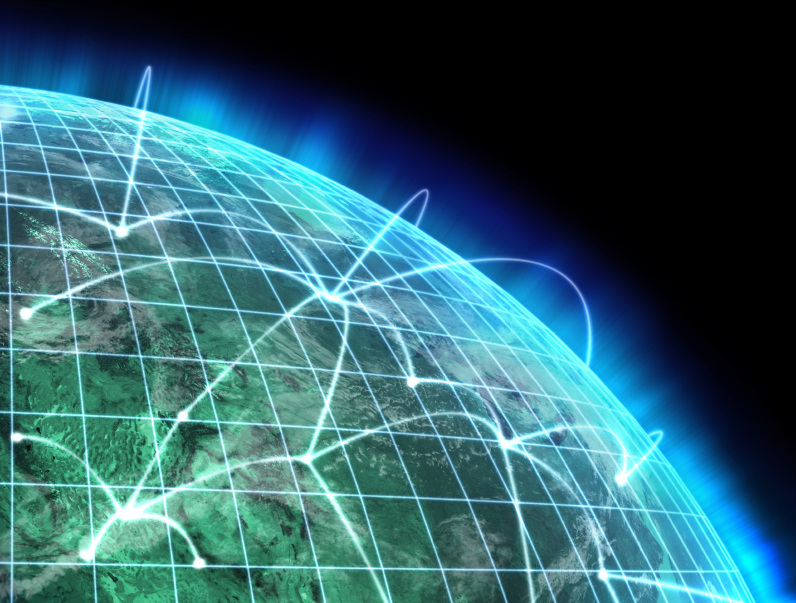 How Can We Use Technology to Make Our World Better? When I first started to consider an essential question for my tech classes, I must have tried seven different ones before settling on the one above. The first one I tried was “How can I use technology to make my world better?” but I did not like how sounded so selfish — with a single student in mind. I knew from the onset of this system that I wanted students to work together and collaborate. So I soon changed the “I” to “We” and the “My” to “Our” so that students knew from the beginning that they cannot do it alone. When my badges system was being peer reviewed, I had one colleague suggest that I remove the word better. He said that it suggested that our world was broken — I ignored his suggestion — because the world is broken. If fact, the world is so broken that I started this whole system based on two facts that were so obvious that I could not ignore them anymore. At one time, I was going to drop the word technology from the essential question, but I felt that, as a technology teacher, I should keep it. I guess if I was a math teacher, I would change the word technology to math. But that would be a different book entirely since I have no idea how to use math to make our world better. This also means that you as the reader, know that this blog is about how students use technology to improve their world. As I walk the hallways of the MET I am constantly being stopped by the students and asked about the rules we have for the MacBooks and iPads. Since I was the one in the video, I guess it is only fair that I get all the questions. "Mr. Flick," they start, "why can't I change my background image?" The technology rules are a culmination of the collaboration between the IT department, administration and the teachers. We looked at anything that might impede the educational work here at the MET and then we tried to improve things so that nothing gets in the way of great learning. Now I know you are probably thinking to yourself, how on earth does a background image slow down the educational work of a student at the MET? 1. Students start to get the impression that the piece of technology somehow belongs to them and not to the school. They then want to start installing personal files, music, etc. Which then fills the tech with non-academic files, and then when they go to save a research paper -- there is no room left on the device. 2. Some students change their settings daily, they are always trying to find the funniest of trendiest background to show off to their friends, and then their friends all want to change their background images to keep up. Hours are wasted each week as students get stuck in this endless cycle. 3. When IT comes to work on a device, they can wast hours trying to find the problem due to all the changes that have been made to the device. So to make things easier for IT we try to keep each device the same. So there you have, the reasons why students can't change their background image. I have been interested in 3D printers for my school for years, but I've been singing the U2 song "I Still Haven't Found What I'm Looking For." I sing this because no one has really ever shown me WHY my school needs one. Sure, people show my all the chachkies that they can make with them: chess pieces, key chain FOBs, etc. I have been to a quite a few maker faires that have a lot of 3D printers that are churning out a lot of crap. Crap, by the way, that takes hours to print. Then a couple of booths over I came across STEAMtrax, who make 3D printer curriculum for schools. Finally, I found the reason to have 3D printers in schools. 2 minutes into their presentation I was sold. All the time and expense to get to CES was now worth what I have just found from these two vendors. Each year that I come to the Consumer Elecectronics Show (CES) I try to find those new and upcoming products and ideas that I could use in my classrooms in the years ahead. The problem is that CES is just so stinking big. It is literally the size of many football fields, so it takes a lot of planning and running around to find those products that would do best in the classroom. The first strategy I use is to steal clear of the acres of TVs. This year I am focusing on 3D printers, wearable tech, and textile tech. I will keep you posted as to what I find. Looking for the needle in the haystack. Back in 2010, just after I had returned from working at an orphanage in Nicaragua, I started to think about how I might involve more students in the world around them. At the time a new word had entered my vocabulary; social entrepreneurialism. People who build businesses, successful businesses, whose purpose is to now only make money but also to improve their world. This concept captured my imagination as an educator and I wondered in some of these same ideals could be included in what I do as an elementary school technology teacher. That was when I coined a new word; Social Learner. A student who learns how to improve their world while at the same time learning the regular academics. I remember at the time worrying about how I would find time to squeeze in any more learning into an already completely booked day? But over these past years I have learned many tips and tricks as I designed my Elementary School iPad Tech Curriculum. The turning point came when I finally learned that the trick was not to add more to my teaching schedule, but instead I learned to replace most of the subjects I was teaching with new "social learner" centered topics. In the weeks ahead I will share my experiences as I explain how I ended up now living in Panama City, Panama, as I pursued my dreams for students to learn how to improve their world. 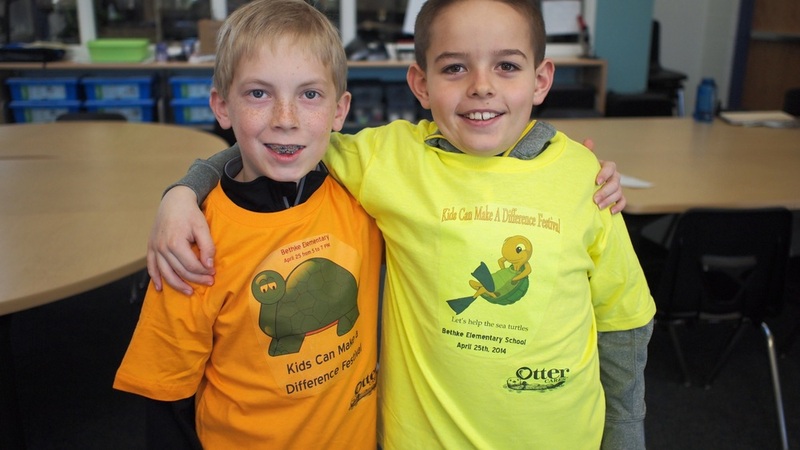 T-shirts designed by students to support sea turtles. The nice thing about coming to a new school is that it gives me a chance to see if the success I was having was based on kids just signing up because they knew me and trusted that it would be great, or if I can really get kids to do amazing things with technology because of the subject itself, independent of who the teacher is. To tell you the truth, I was a little apprehensive of the answer. The great success of the new MET Studios at my new school has affirmed it that "If you build it they will come." If you truly offer projects that are interesting enough coupled with an authentic audience, kids will sign up. Their content library is comprised of more than 65,000 videos. So if you are wondering where to start, I can help! They have started reviewing their internal data and found some of their most frequently viewed training. This post focuses on their most commonly viewed digital content on mobile learning. What is it? Planning for Success: Professional development to start planning a mobile initiative. Key topics include: setting a vision, planning the infrastructure, and gaining buy-in. iOS 7.1 - What's New? Training: Get to know the ins and outs of your iPad in this how-to series! Adapting a Lesson: How can some of your favorite lessons go mobile? This course will help make sure your tried-and-true classroom experience can be enhanced when students have access to mobile devices. Evernote Training: Evernote is a favored tool by many educators. This how-to training will get you up to speed on how you can use the note-taking and memory-enhancing app to share your notes across devices or with others. Edmodo Training: Do you like the idea of bringing social media into your classroom, but don't know where to start? This content is focused on utilizing Edmodo for collaboration on assignments, sharing resources, posting polls and quizzes, and more! When it comes to mobile initiatives, it's hard to know where to start. This list can help you find the Atomic Learning training that is useful, when you need it. Want to learn more about Atomic Learning resources? Request more information! iPad Band Performance of "Hit Me With Your Best Shot"
#edtech #ipaded Elementary school's iPad band, Totally NEON, performing a cover of "Hit Me With Your Best Shot." Hit Me With Your Best Shot from Brad Flickinger on Vimeo. #edtech #ipaded You've been bugging my about it so here it is... I shot this the other day at one of their rehearsals. Totally NEON iPad iBand rehearsal from Brad Flickinger on Vimeo. #edtech #atomiclearningYesterday the iBand members had to come dressed in their 80's attire ready to rock their songs. The songs sounded great and they are ready to perform and next week's Kids Can Make a Difference Festival where they are raising money for the Libraries for All organization. This festival is the culminating event for their tech badges they earned using lessons from Atomic Learning. The fourth and fifth graders have been rehearsing their 80's songs for their performance at the upcoming Kids Can Make a Difference Festival.